Christopher O’Riley is on a roll. Recently he has parlayed his successful public radio gig into a public television gig; he also has two Radiohead transcription albums and one Elliott Smith transcription album under his belt. Now comes his latest transcription album, Second Grace: The Music of Nick Drake. And for better or worse it’s of a piece with the albums that preceded it: technically brilliant, undeniably deep in its understanding and love of the source material, but somehow less than compelling in overall execution despite some bright points. The disappointment of this album is that the material O’Riley had to work with was so rich. Nick Drake, who has been wearing the “undeservedly obscure” label for so long that he’s in danger of overexposure, produced both orchestral chamber-pop of high complexity and stark, isolated solo recordings before his untimely death after just three albums (official cause: overdose of antidepressants). The great thing about a Nick Drake song is that he could take that voice that ranged from low murmuring (“From the Morning”) to high keening (“Black Eyed Dog”) and his amazingly proficient acoustic guitar work and make songs of all flavors and descriptions come alive. But–and here is my bone with all Mr. O’Riley’s pop transcriptions to date–in his hands all Nick Drake’s songs sound alike! 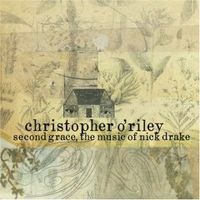 Almost every track features the same curse: O’Riley’s technically impressive transcriptions swamp the songs in complexity. Two years ago, I wrote of “Hold Me to This” that O’Riley’s approach “too often … yields a harmonically accurate overload of undifferentiated hemidemisemiquavers.” Translated into plain English, I mean that the songs are occasionally in danger of losing their rhythmic integrity under the onslaught of rolling chords. Exhibit 1: “Pink Moon.” Made famous twenty years late in a Volkswagen commercial for its wistfulness, here it sounds hurried, busy, and way too cheerful. One supposes that the latter is unavoidable given the beauty and simplicity of the underlying melody; it is, after all, Drake’s words (“And none of you stand so tall/Pink moon gonna get ye all”) that carry the substantial menace of the song. But isn’t this the job of the performer of a transcription: to bring across that unspoken menace through the performance, to compensate for the missing lyrics? Is there a bright spot in this bleak adaptation of Drake’s music? Generally adaptations are difficult anyway; as Charles Schulz once observed, reading classic literature that has been “adapted” for children is “not unlike drinking diluted root beer.” The good news is that the bones of Drake’s songs are underneath, and what good bones they are. And in places they come through: “Fly,” where the bass voice of the piano carries the melody to good effect, is a good early example. “Harvest Breed”’s unusual chord progression carries through the trappings of the arrangement to grab the listener. And “Three Days” builds suspense through its gradually thickening chromatic language. Probably the most successful reworking on the album is “River Man,” where O’Riley lets the driving rhythm (in the liner notes he cites Dave Brubeck as an inspiration here) mingle at something like a meditative tempo with an increasingly discordant accompaniment. The bridge is delightful, a storm across the river valley. The second verse introduction after the bridge, where the introductory chords dip down to a minor fourth below the tonic, starts to carry the appropriate amount of menace. I will go so far as to say that here O’Riley may actually best Brad Mehldau, who consistently has gotten to this repertoire first (recording “Everything in Its Right Place,” “Exit Music (For a Film),” and “River Man” several years ago); his version of the song is more complete and holds more emotional range. I close by noting, as I did in my review of “Hold Me to This,” that the listening experience is greatly helped by turning the volume way up. Listening to the playback at an appropriately high volume level helps to bring out the subtleties of the recording and hold somnolence at bay. This review was also published at Blogcritics.